Manholes are available in sizes from 42" to 144" diameter and come with all the accessories, such as: bases, concrete covers, eccentric cones and grade rings. 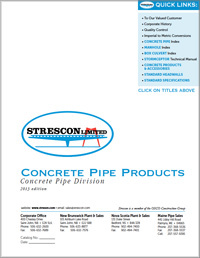 The manhole assemblies are available for custom requirements such as cast-in gaskets for all sizes of concrete, P.V.C. 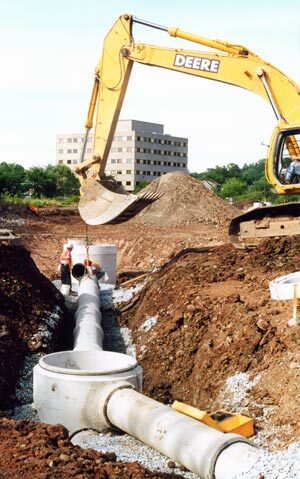 or ductile iron pipe and can be plant-benched to each site requirement. The precast catch basins are available in 30" round and 24" square. The cast iron frames, grates and covers are also available to suit job specifications.